Life is not made for us to eat basic food and then die without having sampled all the amazing snacks out there. So to help you tick off a few bucket-list bites we've created the ultimate ranking of food to try before you die. Starting with American food, obviously. Bibs at the ready, there's gonna be a whole lot of dribbling up in here! Foodies, we give you the definitive ranking of bucket list snacks. Thank. You. America. 'Fluffernutter' is as American as life gets. Spread it on your bagels, eat it alone with a spoon, do what you will just make sure you eat it. Because there's little else in this world as satisfying as a deep fried sausage on a stick. If you thought pineapple was refreshing well just you WAIT. A Disney dole whip is basically summer served up in whippy soft serve frozen form. What's more - it's dairy free as well as delicious! One nibble and you'll understand why these bad boys are the most lauded bites going. Sorry Dory. It feels so wrong in all the right ways. No Warriors game is complete without Frank's RedHot sauce. 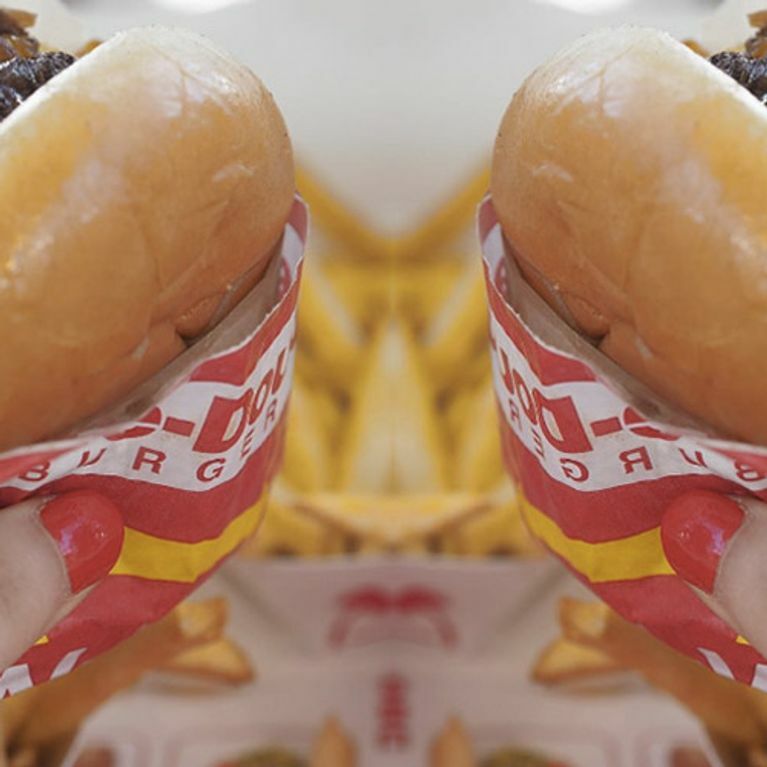 The only way is animal style! Wherever your travelling tastebuds take you, cravings for this beast of a burger will always come back to you. San Fran's Little Star. It's the pizza place to be. Again, San Fran's sour dough cannot be beaten. It's like a hug in an edible bowl. More than 30 legendary cheese cakes? It would be a crime not to. WTF is this? It's bear batter ice cream wedged between two half-baked cookies. Yep, you're gonna need some alone time with this one. What's your favourite snack? Tweet us @sofeminineUK! The Craziest Food Hybrids Ever: Genius Or Just Gross?